Mea Vita: Carpe Diem: Don't Forget Your Pilot's Guides! I recently upgraded my airplane's panel with an Aspen EFD1000 along with some other engine and transponder avionics. Now, instead of "steam" (analog) gauges, I get many of the benefits of a glass cockpit. Since nearly all of the avionics have been replaced in my plane since it was built, the original airplane manual, which must always be on board the aircraft while in flight, is no longer current. The simplest solution to this problem is to carry the pilot's guides for all of the equipment that's been installed over the last four decades. Obviously, this can be bulky since it includes manuals for the autopilot, GPS, radios, PFD, transponder, engine monitor, tachometer, etc. Since I never fly without my iPad and iPhone I realized that I could add the pilot's guides – which are all available in PDF format – directly to my iPad and iPhone. 1. E-mail the pilot's guides, in PDF format, to yourself as an e-mail attachment. When you receive the e-mail on your iPad or iPhone open the PDF attachment, click on the arrow in the upper right, and select Open in "iBooks" which will copy the PDF to iBooks. 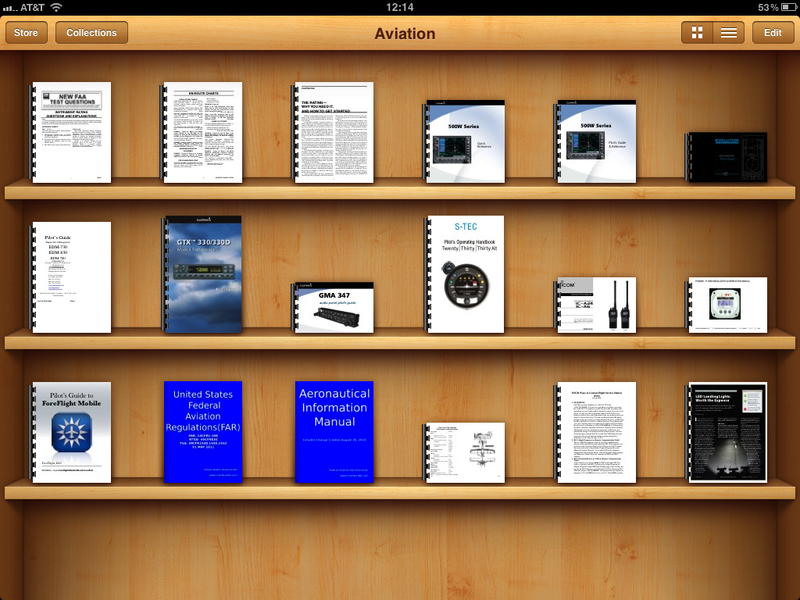 I've created another "collection", in iBooks, called Aviation, in addition to the two default collections (Books and PDFs), and moved my pilot's guides into this new collection. 2. Drag the pilot's guides, in PDF format, to your iTunes library. The next time that you sync your iPad or iPhone with iTunes, check that each PDF manual is selected under the Books tab, in iTunes, to be sure that it's transferred to your iPhone or iOS. 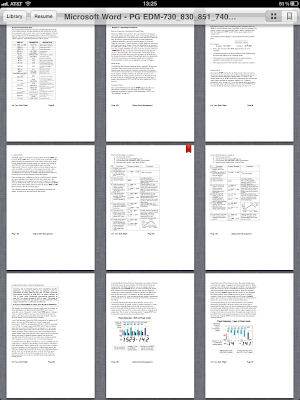 The beauty of having these PDFs on both devices is not just that I have two copies with me when flying, but also that I can bookmark pages on one device and those pages will be bookmarked on the other device after syncing with iTunes. Also, most of the hardcopy pilot's guides tend to be printed in black and white by the manufactures to save costs, but the PDFs are in full color. Additionally, I can run a text search to find what I'm looking for in case I hadn't already bookmarked it. So, how do I lean out my airplane's engine, during cruise, to 100° rich of peak? No problem, it's a snap to find that page in my pilot's guide since I've bookmarked it. 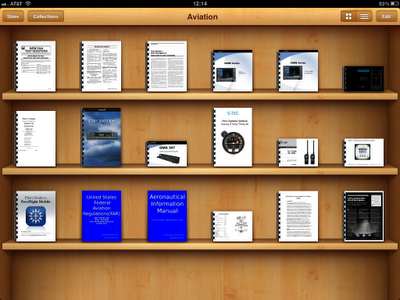 But why stop with my pilot's guides since I also bought the FAR/AIM in the iBookstore, too? 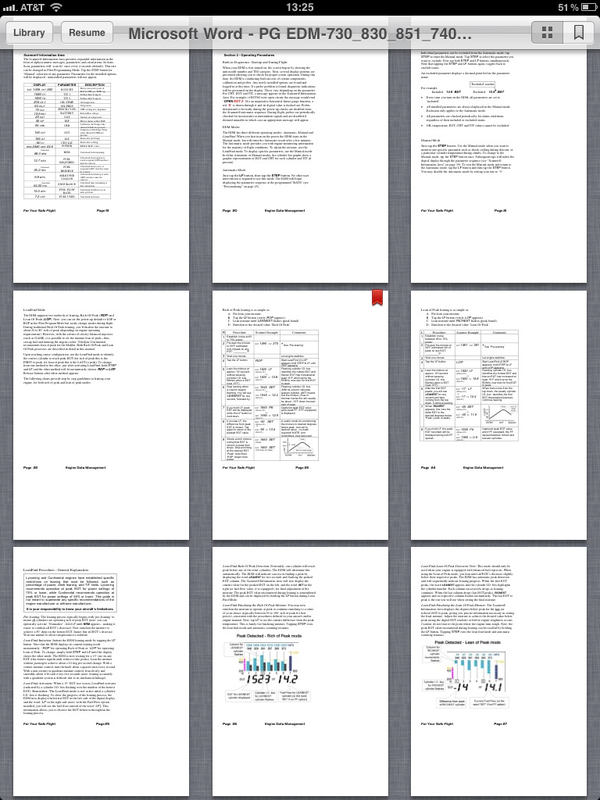 The only feature that's missing for the PDFs is that you can't highlight text, as you can in a regular iBook. So, my FAR/AIM, which is not a PDF, but, rather, a genuine iBook, is not only well bookmarked but also "highly" highlighted.